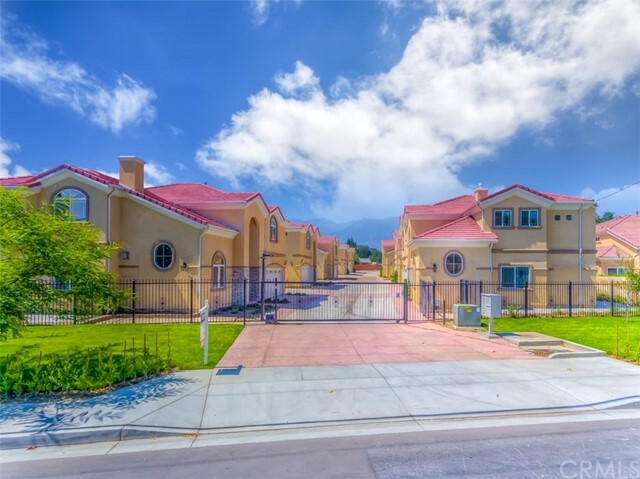 All San Gabriel homes currently listed for sale in San Gabriel as of 04/25/2019 are shown below. You can change the search criteria at any time by pressing the 'Change Search' button below. "LAND and LOCATION!! Attention Investors, Builders and Contractors!!! Just lowered selling price! The seller is very motivated. A huge lot with a Spanish style house and enough land to build more homes. 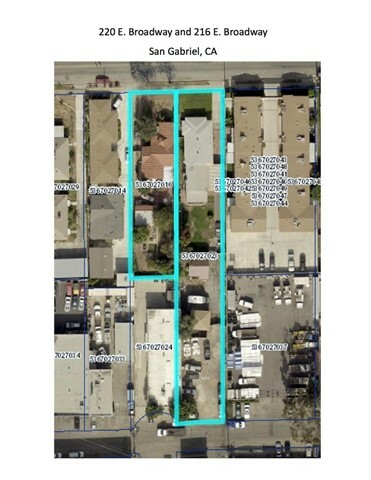 The property has an additional lot in the back and combined is a total of approximately 23,220 sf. 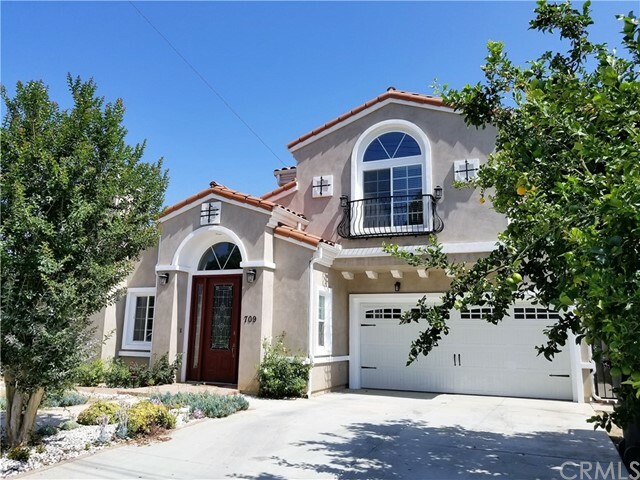 The main parcel with the house, is 21,071 sf and features an impressive two story 2,361 sf home with 4 bedrooms, 3 baths (profile shows 2 baths), and a large den. The second lot is in the back end and to the side with an additional 2,149 sf. Both lots are being sold together. The house needs some TLC, Selling in AS-IS physical condition. Sellers will not do any repairs. 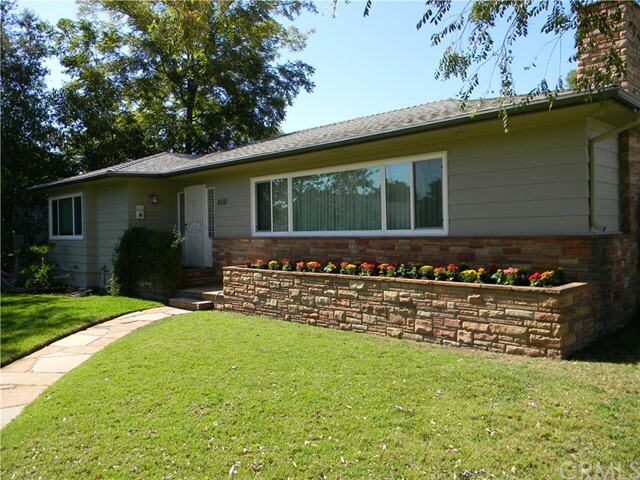 Location is in a highly desirable neighborhood, in the same vicinity as San Marino, Arcadia and Pasadena. Shopping and schools are near by." 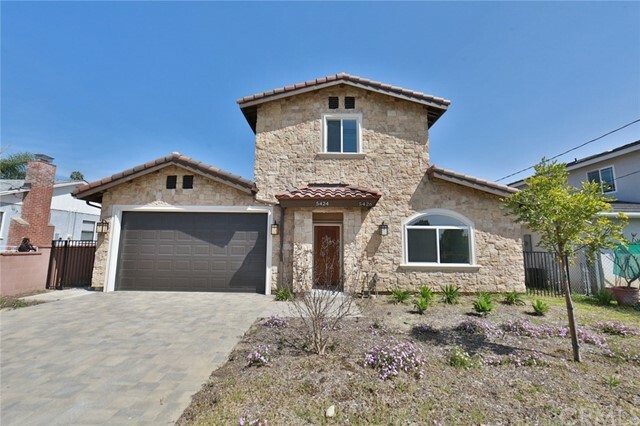 "Set on a fabulous lot with sweeping views of the San Gabriel Mts. and golf course, this grand Craftsman home is one of the true historic treasures of North San Gabriel. Lovingly cared for and meticulously maintained, the original character of the home has been respected with thoughtful updates over the years. The home boasts an abundance of natural light with its many large windows throughout. Upon entering the home, there is a lovely living room with brick fireplace and a gracious dining room. French doors open from the dining room to a side patio offering wonderful flow for entertaining. The relaxing family room opens off the kitchen and onto a charming brick patio. A saltwater pebble tec pool/spa is inviting & completely fenced. There is a charming 496 sq.ft. guest house with its own patio, kitchen and bath- a perfect spot for in-laws, nanny, guests, or private office. 3 Bedrooms upstairs are all quite spacious. The master has spectacular mountain & golf course views and an updated master bath. Additionally, an enclosed ''sleeping porch'' could be used as a 4th bedroom, a kid's playroom or separate work space/office. The front lawn has been the sight of many neighborhood and family get togethers. This is truly one of the special homes." "Great Location! Large Lot! 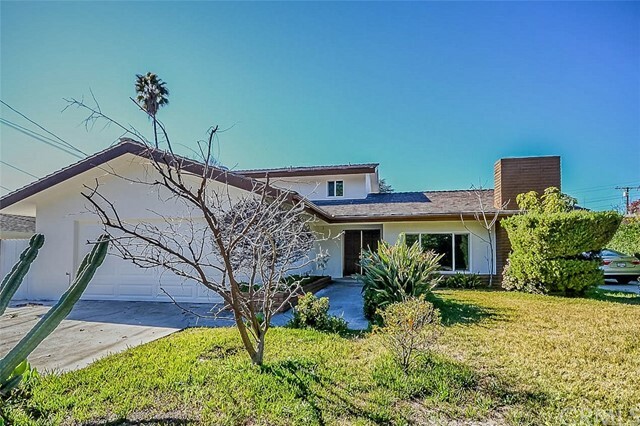 The charming home is located in San Gabriel but belongs to Temple City Unified School District within a walking distance to schools. The attractive new home faces the south which makes the home full of sunshine. The bright living room has very high ceilings and beautiful stairs to the second floor. All the 5 bedrooms are suites, fully satisfying everyone's privacy. The luxurious master bedroom upstairs has a double door entry with a walk-in closet, Jacuzzi tub, a separate shower space, and dual sink. The gorgeous property also includes a modern open kitchen has a big marble island, a wok kitchen, walk-in pantry, tankless water heater, 3 attached garage and beautiful front yard and back yard. The owner spent a lot of money to improve the yards. Very nice house! MUST SEE!" "Luxurious home built in 2001. Temple City School District. Many updates done in 2017. New windows, new wooden floors, new paint inside and out, stainless steel kitchen appliances. 5 bedrooms with a library downstairs. 4.5 baths. All 5 bedrooms have a ceiling fan with lights. One suite downstairs with a Jacuzzi tub bath. 3 suites upstairs. Master bathroom upstairs has Jacuzzi. Circular driveway with gates. This beautiful home is perfect for music lovers with its high ceiling living room combined with a dining room and entrance makes the perfect acoustic sound to be able to perform mini concert (piano, string instruments or singing opera). Space can hold 30-40 people, and has plenty of parking spaces outside and on the street. Spacious back yard to enjoy nature, kids can play football games or upgrade any way you like. 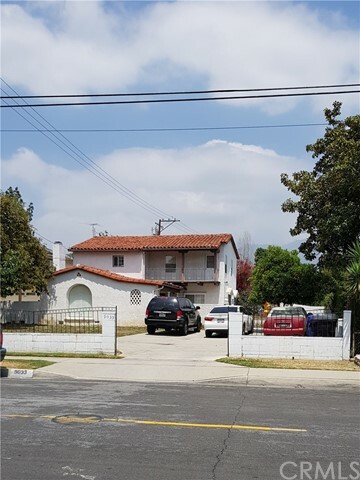 House is located adjacent to Eaton Wash."
"This newer 2-story beautiful house is conveniently near San Gabriel Country Club. Three Bedroom with three and a half baths. Gracious double doors entrance with soaring foyer and marble floor. Inviting high ceiling living room features a marble fireplace and coved window. Gourmet kitchen highlights a center island, granite counter tops & stainless steel appliances and breakfast nook. Spacious two-story high ceiling living room adjacent to the kitchen. Three good size bedroom suite with one on the main level and two on the second level. The impressively wrought iron stairs lead to the upper level. Master suite offers an organized walk-in closet; private master bathroom. 2 cars attached garage. A well-landscaped yard. Central AC and Heating. Double paned windows and crown molding throughout. Easy access to shopping and dining." "Here is your chance to own a large lovely home with room for family and guests! With 3210 sq ft this two-story, 5 bed/4 bath home offers you space and privacy for comfortable living, and ample room for entertaining. The grand entrance will wow you as will the impressive staircase leading to the second floor. Downstairs features hardwood flooring, two fireplaces, custom built-in display cabinets in the living and dining rooms, and formal dining space. The kitchen has granite countertops, center island, breakfast nook and access to dedicated laundry area. One room is on the first floor; Four bedrooms are located on the upper floor including two master suites. Master bath has separate shower and soaking tub, double vanity and walk in closet and plantation shutters. Low maintenance backyard with mature trees and hardscape offers space to dine and relax. 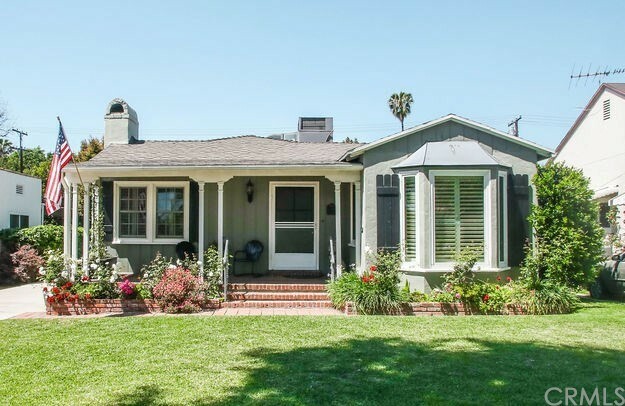 Conveniently located to a main street (San Gabriel Blvd) with nice neighborhood, this home still maintains its quiet appeal. Call today to schedule your appointment for a private showing of this must-see property!" 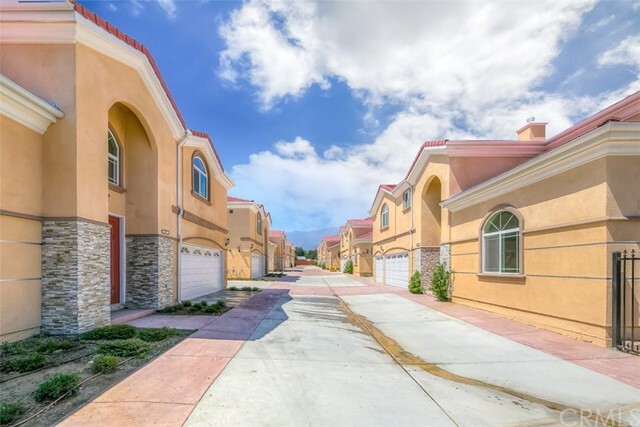 "Brand new homes, located in the heart of San Gabriel! Front house 5424 features a private office and open kitchen includes newly upgraded cabinetry with premium crown molding, as well as a marble countertop that extends to the full backsplash. Complemented by a 14-feet-tall extravagant ceiling in the living room. Downstairs master bedroom with walk-in master closet includes built-in organizer. Master bathroom offers two side by side sinks, separate shower and a relaxing bathtub. With 2 upstairs suites, the home comes with LED recessive lighting, an engineered wood floor, and a dual-zone air conditioning system. Attached two-car garage with an electric car charging station, prewired at 220 Volts. A detached backhouse 5426 that features one bedroom, one full bathroom with its own kitchen, water heater, and AC unit; water and electric meter completely separate from the front house. The property is in a convenient and quiet neighborhood, located near a shopping plaza and school." "San Marino School! 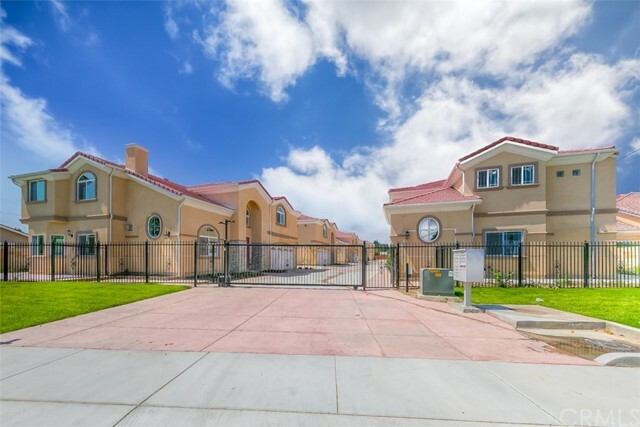 Seize the opportunity to own this lovely single-story property that is within the boundary lines of the highly-esteemed San Marino School District! With some light cosmetic renovations, this 3 bedroom 2 bathroom home will be the absolute perfect place to raise a happy and wholesome household. Upon entering, you are greeted by a lovely entryway divider; a gorgeous Marble fireplace sits in the spacious open formal living room featuring original hardwood floors that connects to a cozy dining area. The kitchen sits at the Heart of the Home, featuring stone-patterned laminate counter-tops, chic tile back-splash, wooden cabinets, and plenty of storage and counter space for all your culinary necessities. A pass-through window allows the kitchen to open up to the expansive family room equipped with wood-panel walls, newer engineered wood flooring and a lovely brick fireplace. Two bedrooms share a full hallway bathroom while the Master bedroom sits in its own separate area for maximum privacy, featuring a large attached 3/4 bathroom and walk-in closet. Also included is an indoor laundry area for your convenience. This property has a detached 2-car garage and a spacious backyard with a gorgeous pergola that allows for cool shade, perfect for pool-side relaxation. 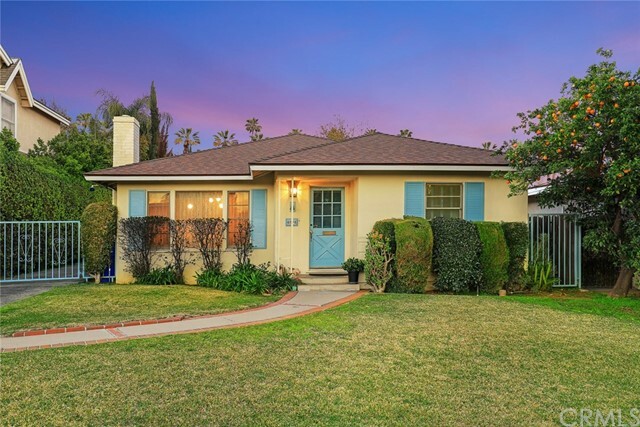 This property is situated in a prime location near Trader Joe s, plenty of local stores, cafes and restaurants, as well as parks & the San Gabriel Country Club." "Two Separate Units Located With Walking Distance To Hawaii Super Market ,99 Ranch Market,School.Both Houses Have Central A/C & Heat. The Property Sits On Almost 10,000 soft Lot.The Front House is 2 Bedrooms 1 Bath With Two Cars Garage And Back House is 4 Bedrooms 3 Baths,Two Story House Built in 1984. Beautiful Modern Kitchen With Granite Counter Tops ,New Cabinets And Appliances. New Hardwood Flooring And New Tile Throughout The House. New Dual-Pane Windows . Very Spacious Backyard With Plenty of Parking Place And Attached Garage. Back Unit Also Has a Basement That Has Nice Floor Tile/Bathroom /New kitchen. Landlord Has Covered The Back House Garage To A One Bedroom And One Bathroom With Kitchen Without Permit.Great For Investment!" "Location! Location! 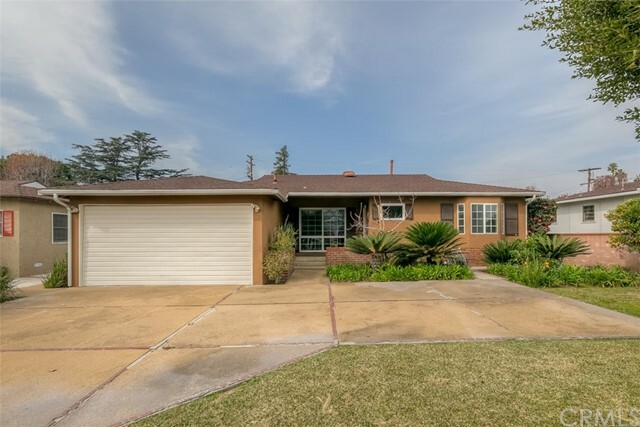 Step inside and be greeted with a beautifully remodeled home located in the highly sought after and peaceful North San Gabriel area. The home was tastefully remodeled with new paint, hardwood floors, moldings, lights, windows and doors throughout the home. Once you walk into the gourmet kitchen, you will find updated cabinets, counters, and brand new stainless steel appliances. The kitchen leads to the formal dining room and spacious high ceiling living room with plenty of built-in cabinets, a cozy fireplace, and a wet bar for entertaining. A quick trip down the hallway will lead you to the spacious bedrooms and updated bathroom. The master suite comes with a walk-in closet and private bathroom. When you're done marveling the interior of the home, step into the backyard patio and you will see the landscaping was carefully tended to. Bright pops of color from the newly planted flowers and trees. There is a open air fire pit and a large pool and spa, great for summer days to entertain family and friends. There is also storage you could use in the backyard. The home comes with a two car garage and driveway, for up to four cars. Security system is wired throughout home. The county record shows 4 bedrooms and 3 bathroom. 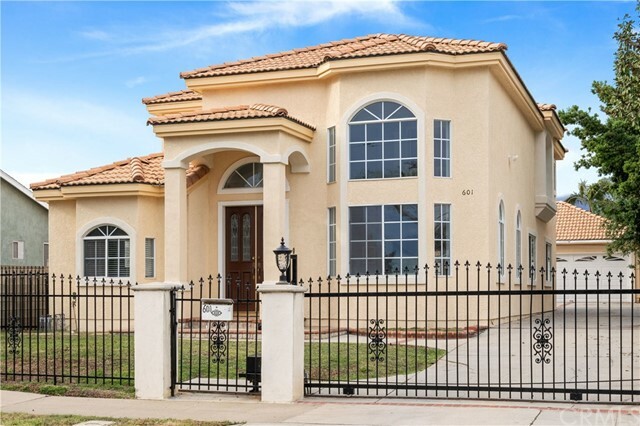 Close to hundreds of restaurants, grocery stores, schools, 20 minute drive to Los Angeles city, and the 10 freeway. What are you waiting? Come and see this beautiful home yourself!" 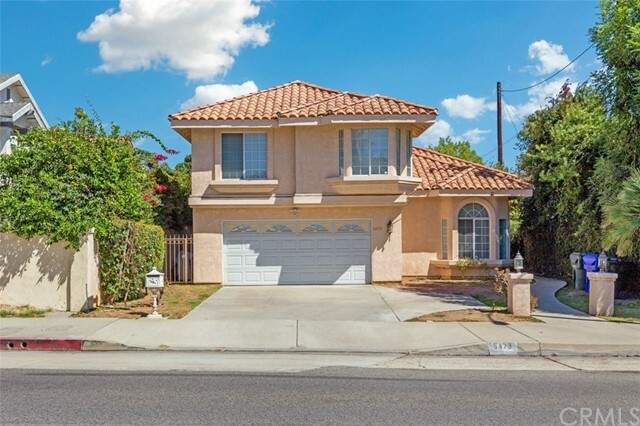 "Beautiful North San Gabriel Home situated in a convenient location! Spacious home with 6 bedrooms and 5 baths, including a full suite on the first floor. Once you enter the South-facing private front entrance, you will find the skylight at the foyer bringing in natural sunlight to brighten up the entire home. The spacious first floor includes a high-ceiling foyer, living room and dining room, a full kitchen with an adjacent breakfast nook, a full bar area, and a breezy family room with a warm fireplace tugged in the rear of the home. Also on the first floor is a bedroom with an en-suite bathroom, perfect for guests or elderly in the family. Upstairs features 5 bedrooms, including 4 bedrooms sharing 2 full baths, and an expansive Master Suite with a sitting area and fireplace, as well as a large master bathroom with jacuzzi bathtub, shower, dual sinks, and a roomy walk-in closet. Throughout the house, there are multiple built-in cabinets for storage, combined with a larger garage that has extra cabinets and a workbench, you will have plenty of space to stash your stuff. Location-wise, you are within grasps of all the boutiques and chic restaurants in Old Town Pasadena up North, as well as the drove of Asian restaurants and supermarket conveniently located toward South." "Property will be ready for showing on May 2, Come and see this Charming Home in a desirable San Gabriel Area, home improvements, in 2009 new shower drain and pipes were installed, in 2010 new pool deck was installed, in 2011 new double paned windows were installed throughout the house, in 2011 new copper pipes and gas pipes were installed, in 2011 tankless water heater, and filtering system, 2011 electric box and wiring were replaced,2012 new draperies throughout the house, on march of 2018 new roof, new lawn front sprinklers were installed,and also the exterior and interior was painted, it has two pool showers with changing room and closets. you will love to live in this house like the owner did. 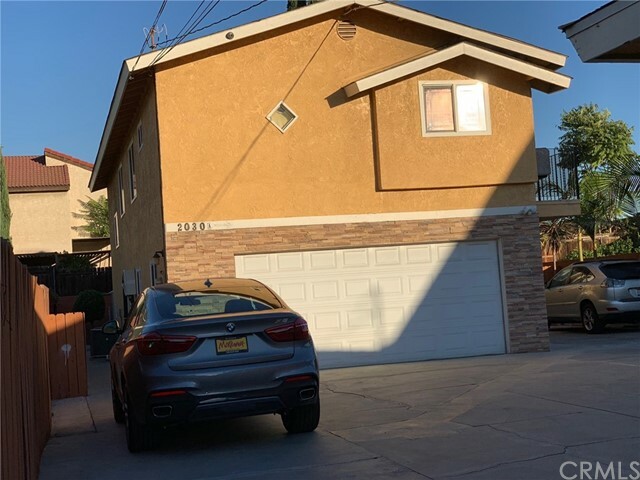 ( Seller will credit 20,000 towards CC or pool repair with an acceptable offer )"
"Located in a quiet North San Gabriel neighborhood, this lovely mid-century home has much to offer. Perfectly suited for a large or extended family, the exceptional floor-plan features 4 bedrooms, one ensuite, and a second full bath. There is a welcoming entry and spacious living room with fireplace. In the formal dining room, a built-in hutch provides instant and accessable storage for partyware! The roomy kitchen has plenty of cabinet space and a good-size eating area. The separate laundry room is conveniently located next to the kitchen and has a side door that opens to the driveway. The home has an open and airy feel and many windows bathe the rooms in natural light. With a wall of windows, the amazing family room offers a full view of the park-like back yard, lush with mature trees, plants, and brightly colored flowers. The large raised patio is shaded by a pergola-like cover that casts amazing sunlit shadows, the perfect spot to enjoy upcoming summer evenings and al fresco dining. A charming brick walkway leads to the garage, garden shed, and outdoor storage area. Updated with new paint in a fresh color palett, new light fixtures, and refinished hardwood floors, this sweet property is sure to sell fast. Call for an appointment today." "Desirable Area in North of San Gabriel. This beautiful 3 large bedrooms and two remodel Bathrooms. Nice bright living room with fireplace and hardwood floors. Den also has hardwood floors. All three bedrooms have wood floors. Big bright kitchen with lots of cabinet space. Nice size formal dinning room area. Tile in kitchen, dinning area and hall ways. Ceiling fans in all bedrooms. Central air and heating. Back yard has a built in barbecue and two patio covers with a KOI Pond with small water falls." "Well, Well, Well ... will you Look at this this? Fantastic Location ... Spacious Well Built House .... Guest Room over the Double Garage - WOW! There is a Fireplace, Anderson Dual Pane Windows and Plantation Shutters in the Light Filled Living Room. The Formal Dining Room boasts lovely Hardwood Floors & a Bay Window facing the Sunrise as well as Plantation Shutters. Picture your Plants & Herbs in the Garden Window over the Kitchen Sink and just Look at ALL those Cabinets! Off the Kitchen is the Laundry Room with Storage & access to the Rear Covered Patio. The large Master Suite with a 3/4 Bath and Wardrobe Closet is currently used as a Family Room. The other three Bedrooms are spacious with ample closets with the Rear Bedroom featuring Mirrored Closet Doors and a Sliding Glass Door to the Back Yard. The Light and Bright Hall Bath has a Tub and separate stall Shower. To continue the WOW factor, step outside to the wonderfully landscaped Back Yard with several sitting/planting/playing areas. Now look up - to the 490 sqft Guest Room with 3/4 Bath & a wall of closets over the Double Garage! Check with the City about converting this space into a full fledged Rental under the Accessory Dwelling Unit (ADU) ordinance! Or leave it as a wonderful playroom or space for guests/extended family. Central Air Conditioning, Dual Pane Windows and a Whole House Fan make this home even more comfortable! This Property is SPECIAL and will make someone a Wonderful HOME ... don't miss YOUR Chance!" "Totally upgraded and remodeled spacious two story 4 bedroom 2.5 bath home. The house looks like new! Fresh paint inside and out. This super bright and airy open floor plan comes with beautiful new waterproof laminated wood floors throughout the whole house. All four bedrooms come with energy efficient double pane windows and doors. The remodeled kitchen offers new granite counter tops, new dishwasher and ample cabinet storage space. The large family room comes with a new French-style sliding doors that open to a private backyard. The house nestles on a spacious parcel of land, and offers an attached two-car garage with a spacious driveway that easily accommodated two additional vehicles. 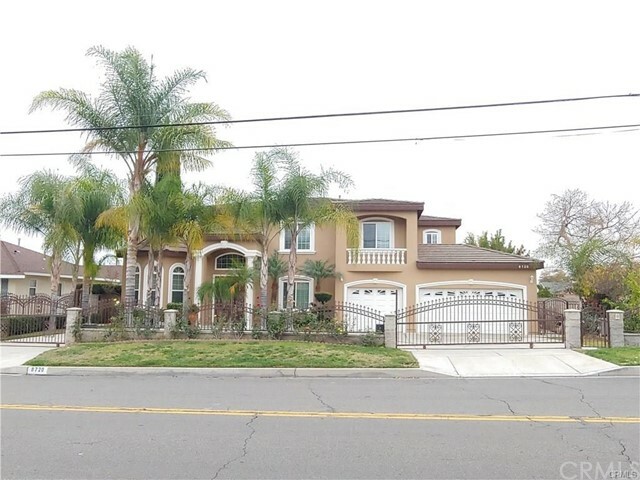 The property is situated in the desirable North San Gabriel neighborhood, with access to the top-rated Temple City Unified School District." 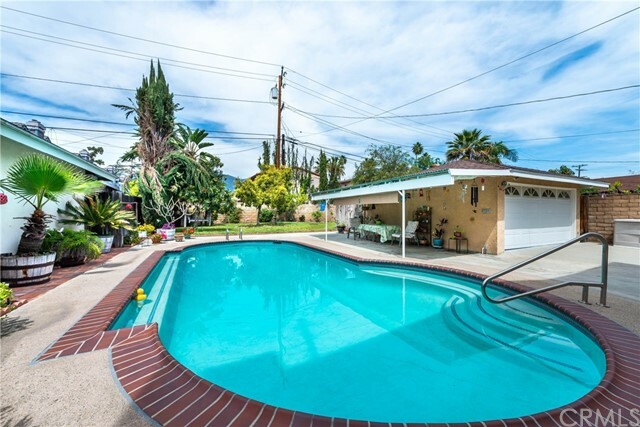 "Stay COOL all summer long in this lovely and highly desirable South facing San Gabriel Valley pool home which is located in the Temple City School District. You will love this open floor plan! Downstairs has 2 bedrooms and a office/den that could easily be used as an optional bedroom. There is a 2nd floor Master bedroom and bathroom suite that has a large dressing area with dual sinks and walk in closet. As you enter the home you will love the bright and open living room with a brick fireplace and lots of windows for natural lighting. The kitchen has plenty of cabinets for storage and opens to the family room. The spacious family room has a 2nd brick fireplace and looks out into the large fenced backyard with a sparkling pool! 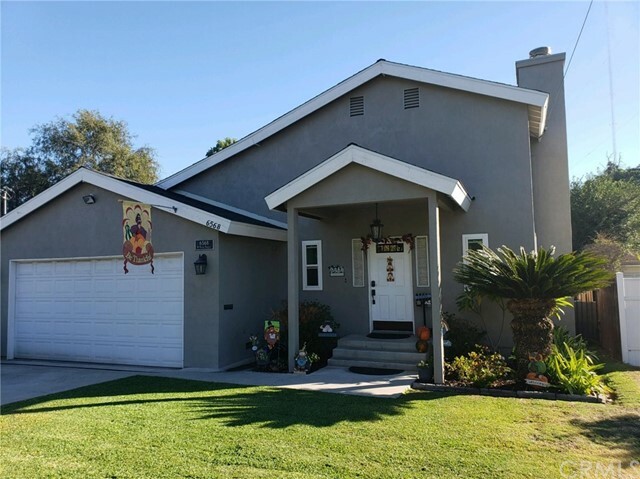 This owner has taken great care of this home and the well manicured yard if fenced and offers a large family sized pool, covered patio, fruit trees and plenty of shade. Upgrades include New A/C and heater, new composition roof, upgraded kitchen, newer carpet and laminate flooring, and the pool was re-plastered and has a new filter pump. THIS HOME IS A MUST SEE! Close to freeways, shopping centers, restaurants! LOW PROPERTY TAXES and NO ASSOCIATION DUES!"